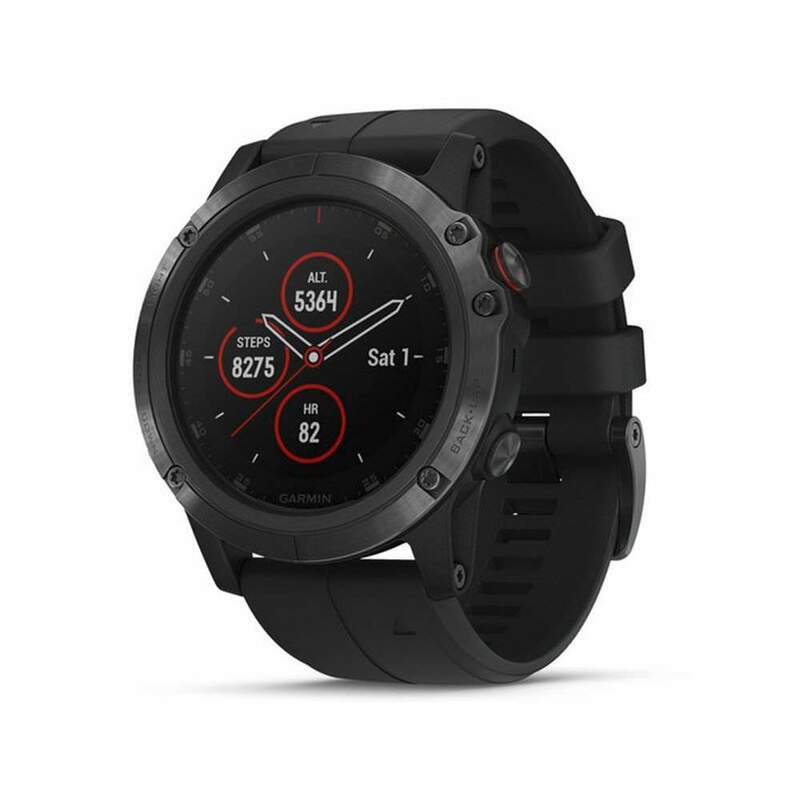 Go on an ultimate adventure with this Garmin Fenix 5X Plus sports smartwatch. A long battery life, full-color TOPO maps, GPS connectivity and Pulse Ox Acclimation sensor for blood oxygen saturation awareness at high altitudes, make it the ideal companion for excursions off the beaten path and in higher altitudes. A built-in music player can store up to 500 songs, and Garmin Pay lets you pay for purchase with the watch, just tap and go. It can easily withstand the rigours of various environments, thanks to the high-strength domed sapphire lens.